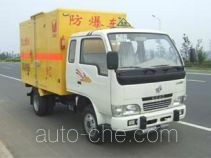 JMC civil explosive materials transport truck JX5032XQYXP2 (batch #147) based on EQ1032GJ44D1 chassis is made in China by Jiangxi Jiangling Special Vehicle Plant. The company is located in Nanchang, in Jiangxi Province, China. Top compartment closed, not open. Optional envelope on the right side door.Optional side door when the vehicle width of 1890 mm, when the side door is not an option, the vehicle width is 1860 mm. 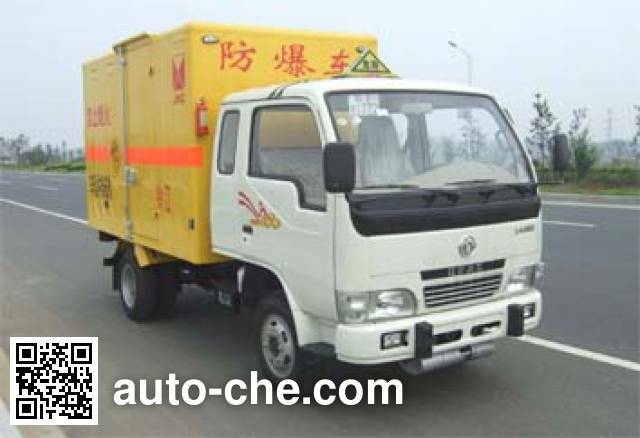 Cargo body (cargo compartment) effective volume: 8.9 cubic meters.